"Before I go to a networking event, I always tell myself “It never hurts to know people”. You never know who you are going to meet - and you can't meet them if you don't go outside your comfort zone." Amanda is a Commercial Banking Relationship Manager in London, Ontario. She works with owner-managed companies to help them access anything they could need from a bank – lending, cash management, foreign exchange solutions, business transition planning and more. Her focus is on long-term relationships rather than transactions and her favourite part of the job is getting to know businesses and their owners. 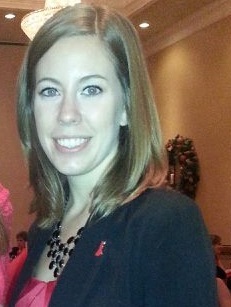 When not in the office, Amanda enjoys running, swimming, trivia and of course, reading!